Explore Fulton Market Prize Giveaway Winners Announced! We have selected the winners for our prize giveaway! Please check your email inbox to see if you won. Thanks for participating and see you for the next EFM in October! Thank You! Mail your Game Card by May 19th! Prizes added to Explore Fulton Market Giveaway! EFM is pleased to announce additional prizes donated by participating businesses. To learn more about how to win and prizes please visit here. 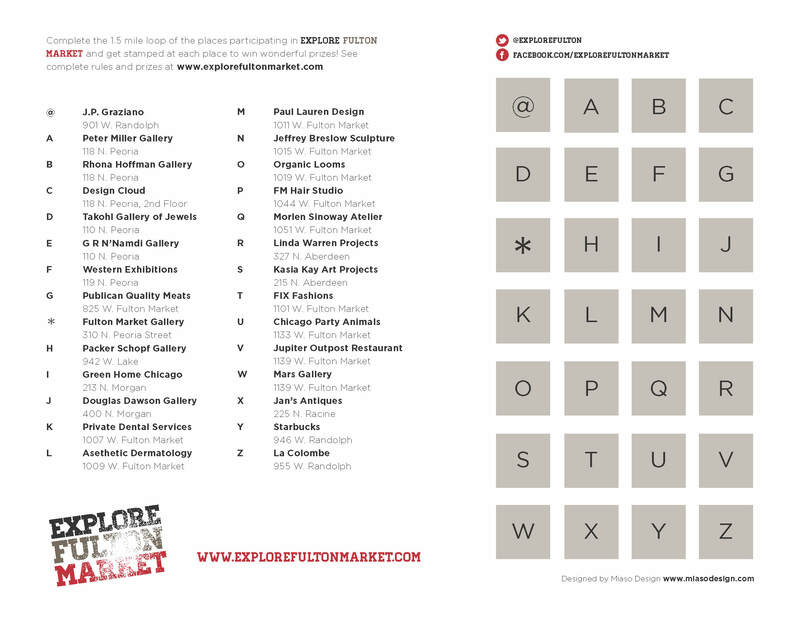 Pick up a map at participating EFM businesses and explore the great businesses of the Fulton Market!